Early fall, when the air is cold enough to wear flannel but warm enough to not die of arctic blizzard, is definitely one of the best times of the year. This is the time where you can actually enjoy your winter season clothing without wearing heavy overcoats and thick gloves. In today's post, I'm doing exactly that while wearing some of my favorite seasonal pieces. 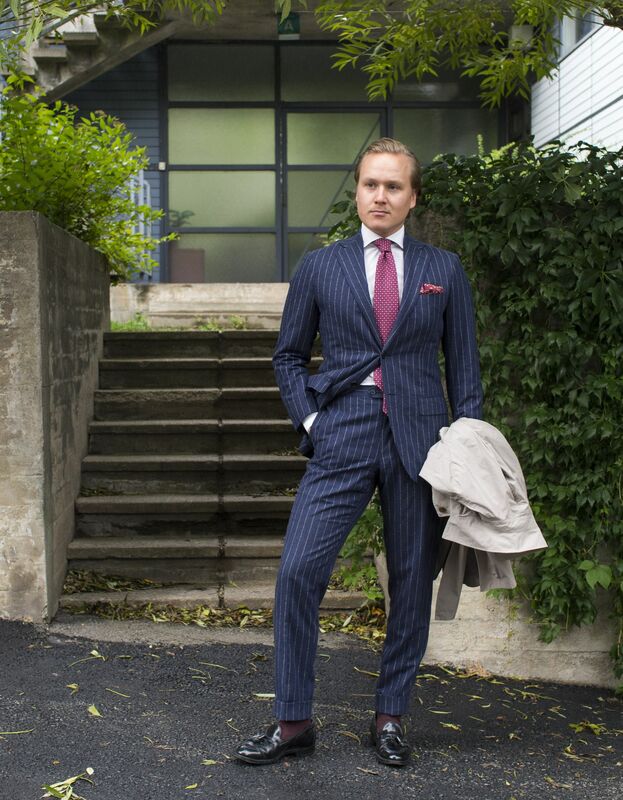 The worn items include a made-to-order suit from Vaatturiliike Sauma of Helsinki, a shirt from Sonrisa, Schappe silk tie from Berg & Berg, wool silk pocket square from Exquisite Trimmings, braces from Viola Milano, flannel birdseye socks from Pantherella, Shell Cordovan loafers from Alden and a coat from Uniqlo. 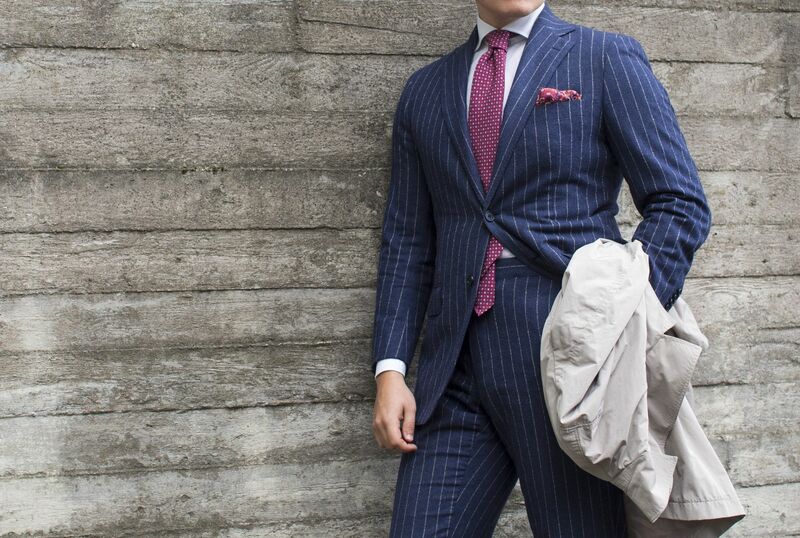 The combination of navy and cardinal red was always a good one, but it tends to look especially neat when wearing a navy flannel suit. The Schappe silk tie has a touch of vintage in it, something that goes well with the Cordovan loafers. 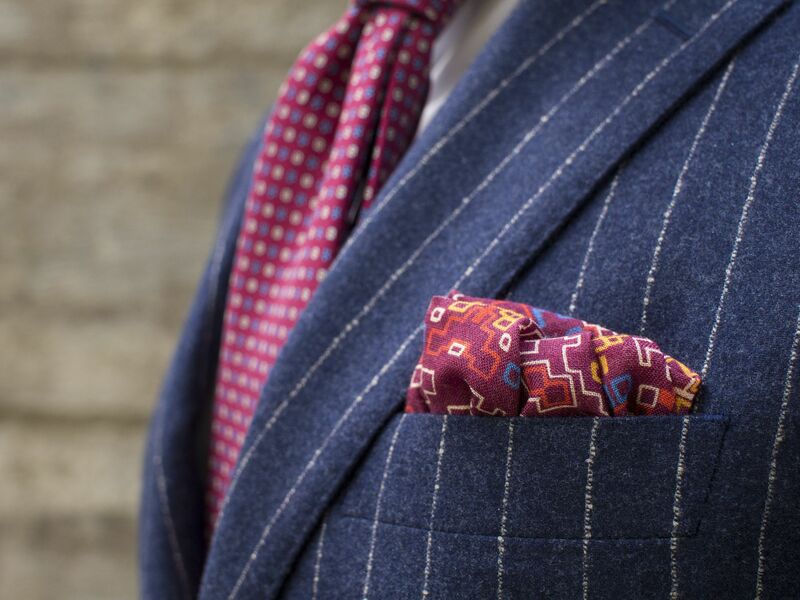 I've decided to go for a soft wool silk pocket square in this case, but a white linen or cotton pocket square would have been perfectly ok as well. 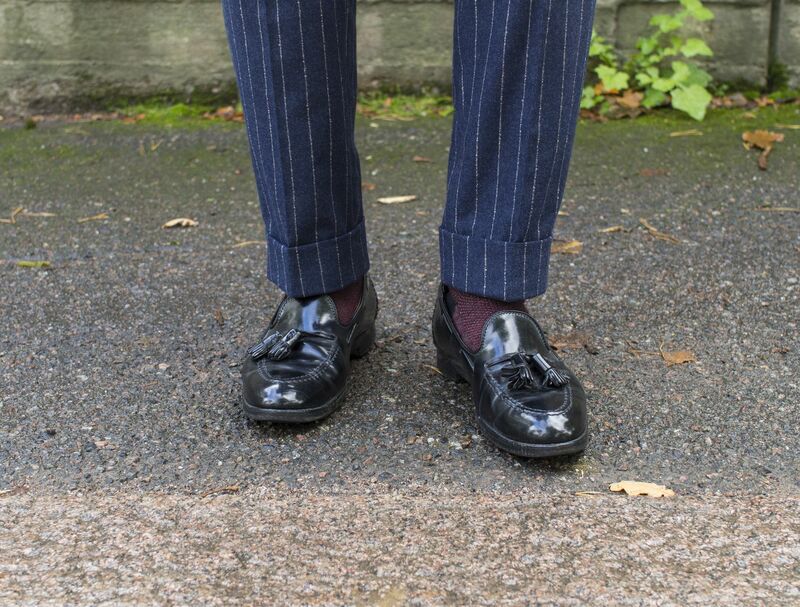 Currently my only pair of Shell Cordovan shoes, these Aldens see occasional use. The model has quite an amazing vintage Wall Street look to it, a fact I quite like for outfits like this. The dark red color of the socks works alright in this case, mostly due to their subdued color and the super soft texture.